You will see amazing creatures that have evolved and adapted to living and surviving in this incredible place without light, many unique to Mole Creek Caves and not found anywhere else in the world. The world of Tasmazia is a crazy complex located in the wonderfully named town of Promised Land in the heart of Tasmania's beautiful Cradle Mountain and Lakes District. Tasmazia includes 8 mazes, featuring The Great Maze, reputedly the world's largest, as well as The Village of Lower Crackpot, a whimsical model village built to 1/5th scale,The Pancake Parlour, a Gift Shop, a Lavender Farm, and ever present views of majestic Mount Roland. Cradle Mountain–Lake St Clair National Park, with its ancient rainforests and alpine heaths is home to the world-famous Overland Track and iconic Cradle Mountain. Part of the Tasmanian Wilderness World Heritage Area, the park is one of the state's most special places, where ancient pines fringe glacial lakes and icy streams cascade down rugged mountains. Sheffield the Town of Murals is Tasmania's Outdoor Art Gallery! For 25 years now, the pictorial history of the region has been painted on almost every blank wall throughout the town. The very first story book mural was of Gustav Weindorfer, illuminating his love of nature and its creatures. Then came historic tales of heroism, extraordinary people, significant events and the everyday life of early pioneers. Mount Roland stands at 1233 metres above sea level and provides a stunning backdrop to the Kentish Municipality. 7461 hectares surrounding the range is within Mt Roland Regional Reserve and Mt Roland Conservation Area. The walk takes in the plains and plateau leading to the summit of the peak. Devils@Cradle is a unique Tasmanian conservation facility focusing on Tasmania's three carnivorous marsupials, whilst concentrating primarily on the Tasmanian devil but including both the Eastern and Spotted-tail Quoll. 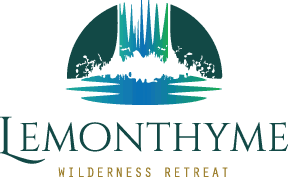 View the animals from the comfort of the Visitors Centre or wander through the sanctuary on a personalised guided tour which ensures a close up encounter with a Tasmanian devil. 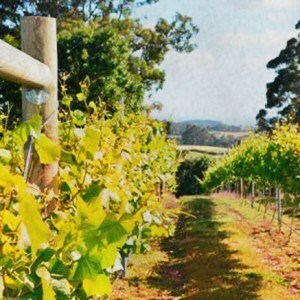 Barringwood Vineyard and Cellar Door Cafe is located just 15 minutes drive from Devonport on the main tourist route (B14) to Sheffield and Cradle Mountain. Our cellar door is built entirely of timber milled on the property, providing an opportunity to sample our range of award winning wines amidst the warmth and beauty of natural Tasmanian timbers. Devils Gullet features a short alpine walk (about 30 minutes return) to a stunning lookout platform overhanging the sheer cliff face, with views to Mount Ossa, Cradle Mountain and other features across the huge chasm of the Fisher River valley.